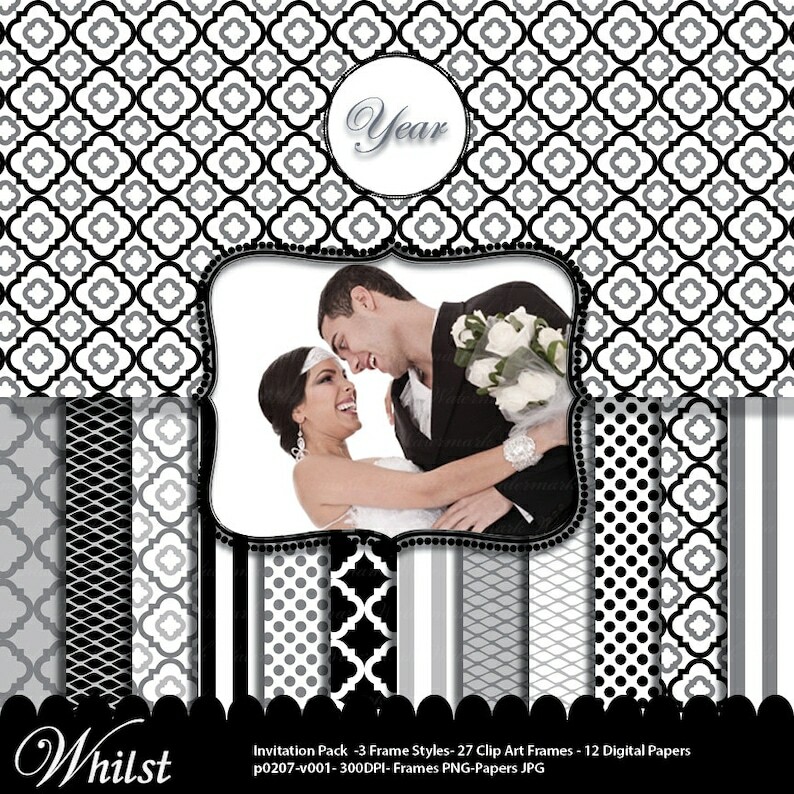 Elegant digital papers and Classic digital frame pack. The p0207 invite pack is geared to go from a 4x6 invitation, to a party pack, to an entire theme for a blog board/photo album... a new classic for any setting. 12 digital papers for scrapbooking, invites, and crafts. ◆3 Frame styles, 3 colors, (Each Frame transparent, white Fill/Clip mask, and the Frame filled with white) PNG 300 dpi (total of 9 frames). Frames are sized large for maximum useability from banners to toppers. Perfect for invites, water /drink labels, tent cards, banners, drink flags, food labels, menus.... and after party blog boards and photo books.